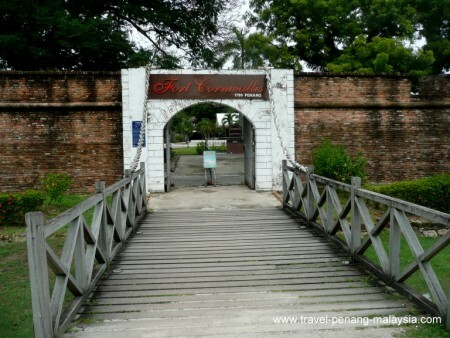 Fort Cornwallis (or Kota Cornwallis in Malay) is a good place to start off a day of visiting the old historic buildings of Georgetown. 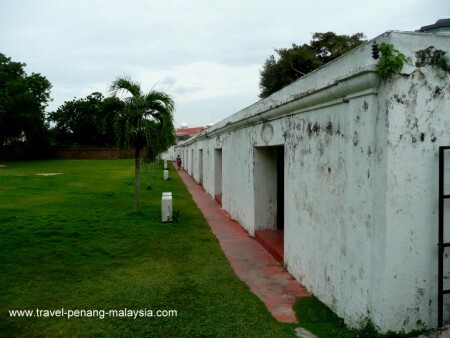 The fort is built on the site where the British, led by Captain Francis Light, first landed in Pulau Pinang to take possession of the island in 1786. 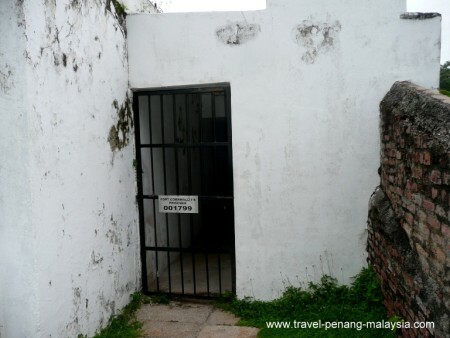 Entrance to the Fort - Please note: The entrance for visitors is now on the other side, close to the lighthouse and clock tower. The first structure to be built was a star-shaped simple stockade made of nibong palm trunks and named after the then Governor-General of Bengal, Charles Cornwallis. 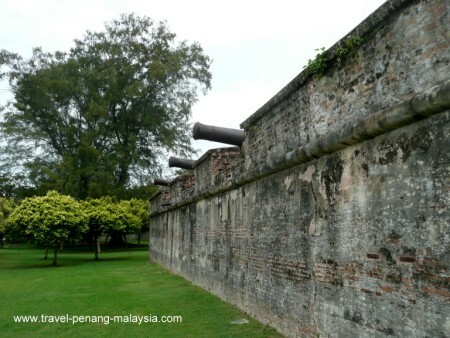 In 1793 the fort was rebuilt using bricks at a cost of 67,000 Spanish Dollars. 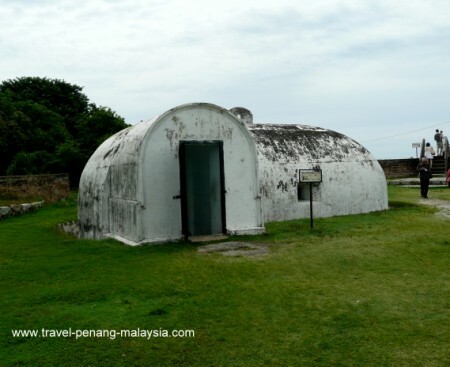 Used as a military and administrative base for the British East India Company, the fort was built to protect their interests in the region, against a possible French attack (which never happened). Open Daily from 9 am until 10 pm. 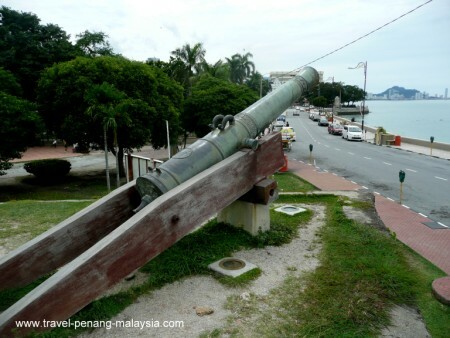 Sri Rambai Cannon - Originally given as a gift from the Dutch to the Sultan of Johore this cannon was later seized by the British and installed on the north-west bastion of the fort in 1871. 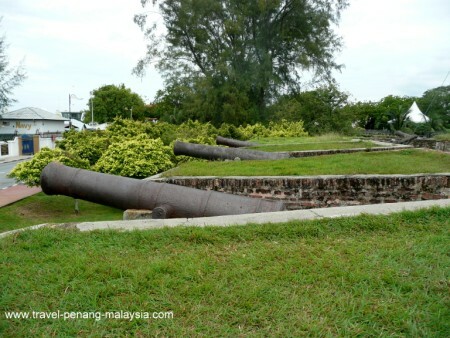 Cannons lined up on the outer walls of the fort facing the sea. The Chapel - This was the first chapel to be built on the island. The first recorded service that took place here was the marriage of the widow of Francis Light, Martina Rozells, to John Timmers, back in 1799. Today, only the shell of the building remains. There is nothing inside. The Gunpowder magazine dates from 1814. The Barracks - inside you will find displays outlining the history of the fort. The outer wall with their cannons looking out to sea. 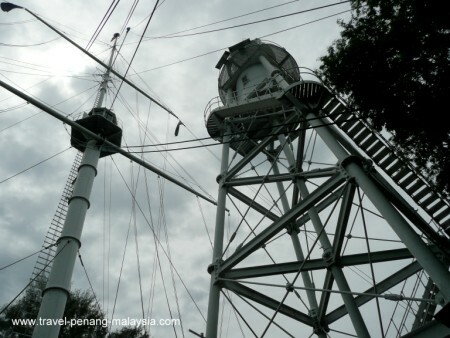 The Penang Lighthouse located at the edge of the fort. 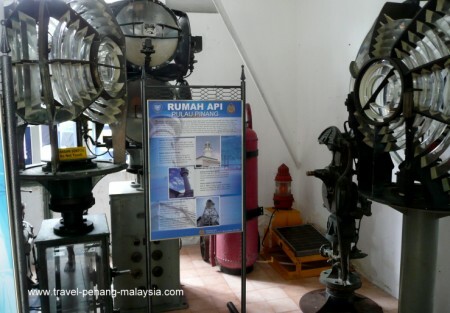 Lighthouse lamps - To enter the lighthouse area you have to walk around the outside of the fort where there is a small staircase leading up the outer fort wall. 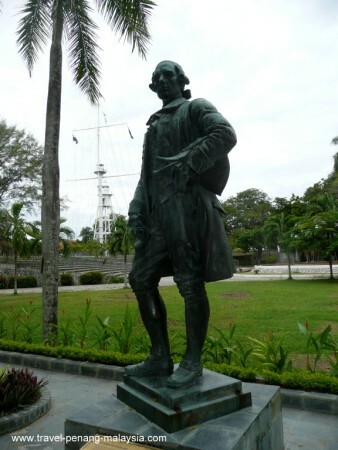 A bronze statue of Captain Francis Light standing over the entrance to Fort Cornwallis. 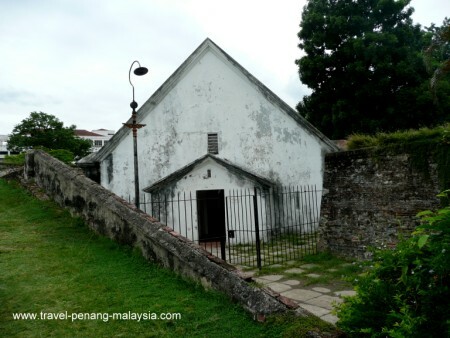 You can visit Francis Light's grave in the old colonial cemetery which is about 10 minutes walk from here.